Reading is one of my great pleasures in life. It takes me into different worlds I could never experience and helps me understand and emphasise with different people and cultures. 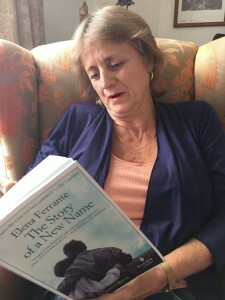 Elena Ferrante describes an intense evocative description of the friendship between two women over a fascinating period of Italian history. It is so vivid and real with such emotional clarity and punch. When I start to read her books I cannot put them down easily. They are truly classics of this century and will endure for centuries to come.